You are here: Home / Weekly Columns / Opinion / 5 Signs from E3 That Prove Sony PlayStation Will Rule the Market Again. 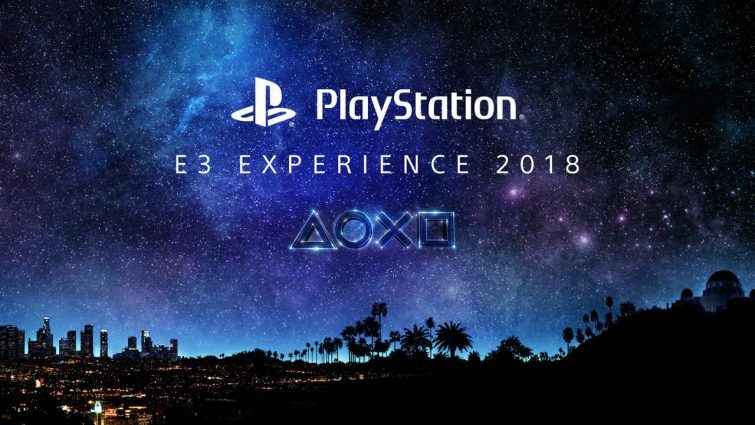 5 Signs from E3 That Prove Sony PlayStation Will Rule the Market Again. 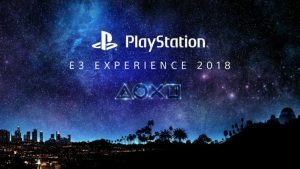 (ThyBlackMan.com) Sony’s PlayStation show at E3 2018 focused more on its major first-party games and select third-party titles, while the Microsoft Xbox team showed some solid games and announced the acquisition of five game studios. During their presentations, Sony and Microsoft left many clues about what to expect next. After analyzing E3 2018, we found 5 signs that prove that Sony PlayStation will continue to rule the console market. It’s not because Sony is doing everything smartly. It’s because Microsoft made some serious mistakes. Microsoft focused on showcasing plenty of games at E3 2018. The company’s E3 presentation was impressive and they showcased some 50 games during the show. The best thing about Microsoft’s show was that the company revealed the actual release date of its games. But the show was lacking surprises. Everyone was pretty sure about the titles Microsoft unveiled, and apart from those upcoming Xbox exclusives, nothing seems to be helping Microsoft stand out. What Microsoft is planning to deliver on its Xbox One consoles is surely going to keep the existing console owners busy. New games will attract new customers as well, but Sony’s lineup of exclusive titles still looks better than what Microsoft is offering. This is not good for Microsoft, especially in 2018 and beyond. Microsoft publishes some of the greatest exclusive games. There’s no doubt about the popularity of Gears 5, Ori and The Will Of The Wisps, Halo Infinite, Forza Horizon and other exclusive titles Microsoft is bringing, but there’s nothing more than that. A lack of high-quality exclusive games has been a problem that stops Microsoft Xbox One from beating the PlayStation 4. The Last of Us Part II, Ghost of Tsushima, Days Gone are some of the most anticipated titles coming exclusively on the PlayStation 4. Sony knows how big these games are and the track record of developers behind these games is something that makes Sony’s offerings stand out. The announcement that Microsoft was acquiring a bunch of game studios was probably the best news from the company’s E3 presentation. This shows Microsoft’s long-term vision. Playground Games, Ninja Theory, Undead Labs, and Compulsion Games are some smart picks. Sony’s show was better in terms of exclusive content but Microsoft sent a clear message that it knows where the problem is and it’s working on a fix. It’s really good for the future of the Xbox One and Microsoft’s next-generation consoles, but acquiring studios doesn’t mean that Microsoft has tied hands of Sony’s own network of developers. Naughty Dog, Sucker Punch, Santa Monica Studio, Polyphony Digital and many other studios under SIE are Sony’s strongest competitive advantages. This is not the first time Microsoft is acquiring a game studio, but the company is striving to build a network of exclusive developers is a very positive news for Xbox fans. Sony has been doing this for years and this is where Microsoft is very late to the party. Microsoft should have started this at least after launching the Xbox One when the company started facing issues related to first-party content supply. Microsoft Xbox team has a very powerful console at its disposal. The Xbox One X is the most powerful gaming console in terms of hardware and performance. The system is capable of running games at native 4K, the area where Sony’s PlayStation 4 Pro can’t beat Microsoft’s console. And Sony rarely talks about it. It is true that Microsoft cannot win the console war with hardware power, but this is one big opportunity for the company and they are not seizing it. The console is even available at discount, but Microsoft rarely talks about such things at industry’s major events. With the Play Everywhere initiative, Microsoft has created a confusion. PCs cannot always be considered a good console alternative, but people these days prefer high-end graphics, better display resolution, and future-proof hardware. Microsoft’s Xbox One X has all these qualities, but sadly, Microsoft didn’t talk much about its power at the show. Microsoft is focusing on long-term strategy and it could pay off. The Xbox One X hardware and the company’s new subscription service Xbox Game Pass is something Sony doesn’t have an answer to. But Microsoft’s hardware-centric approach could hurt the company because, at present, they do not have sufficient reasons to attract new customers. Sony, on the other hand, knows that it is not able to beat Microsoft’s new subscription model and hardware at present. The company is playing it safe by continuing its proven software-first strategy. At the end of the day, Sony has the best lineup of games and what consumers need is high-quality content. Microsoft is failing to create that magic and Sony knows how to do it. What is this racist site filled with lies?